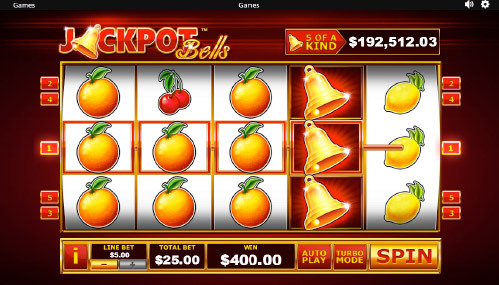 Jackpot Bells is now available to play at Fly Casino! It’s a new multi-level progressive slot game that has the classic fruit-style look and feel! It comes stacked with symbols and a wild Bell that expands to fill a complete reel! This progressive slot at Fly Casino is a multi-level progressive. Based on fixed wagering amounts of $.40, $1, $2 and $5 line wagers, each betting level comes with its own progressive jackpot amount for you to win. So, if you bet small or large, you have a chance to hit something big. The current $5 jackpot is over $192,000! Try it at Fly Casino this weekend. $30 Bonuses X 3. On Sunday from 00:00GMT until 23:59 GMT, all members will receive a $/£/€30 bonus on your deposits of $/£/€30 or more. Claim it 3X! $40 Gets $60 X 2. From 00:00GMT until 23:59 GMT, all members on their deposit of just $/£/€40 or more will receive a $/£/€60.00 bonus. Claim 2X. 75% Big Money Tuesday! From 00:00GMT until 23:59 GMT, all members are invited to receive a 75% bonus up to $/£/€225.00 on your deposit of just $/£/€30 or more or more.